Curatorial Walk-Through of "Hold These Truths". Curatorial Walk-Through of "Hold These Truths"
Nathan Cummings Foundation, 475 Tenth Ave., 14th Fl. Join curators Manon Slome and Rachel Gugelberger for a curatorial walk-through of the exhibition Hold These Truths at Nathan Cummings Foundation. Manon and Rachel will speak to the conceptual underpinnings of the exhibition, and the strategies used by exhibiting artists and collectives to reveal manifold truths in our rapidly changing social and political landscape. 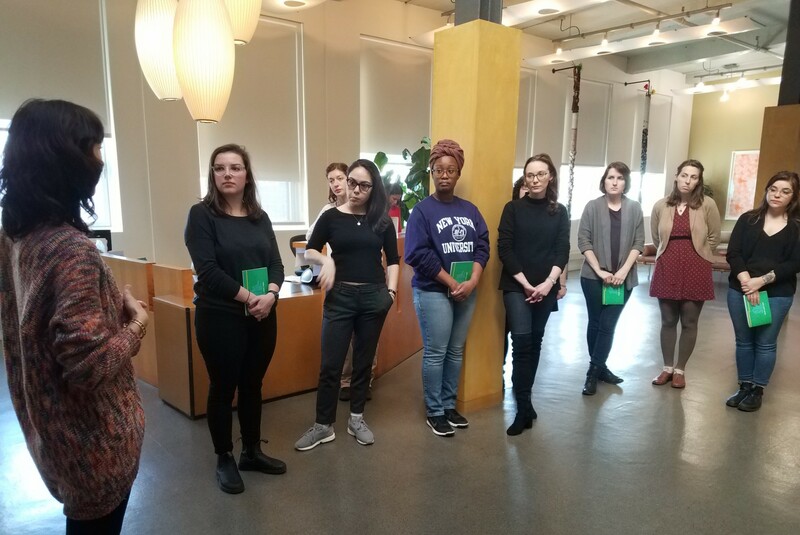 Walk-through with NYU Museum Studies graduate course Museum Community + Social Justice. Photo by Monica Montgomery.